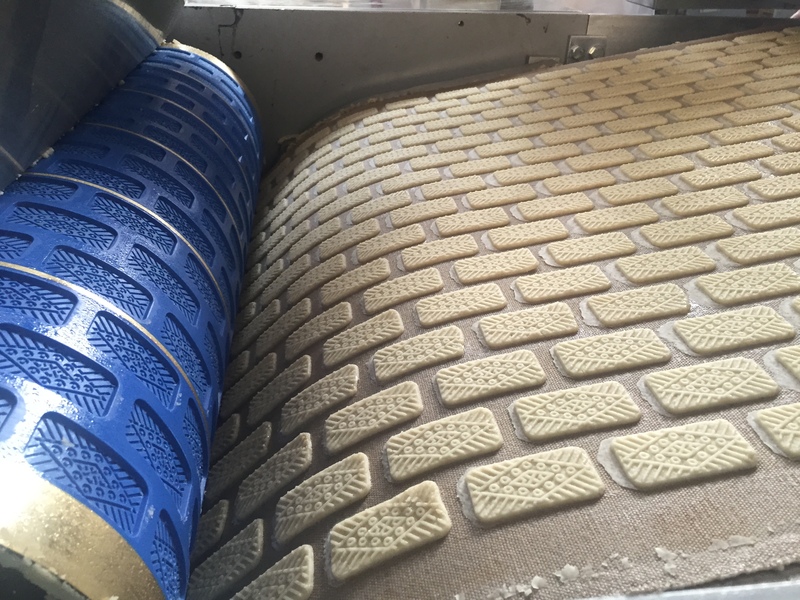 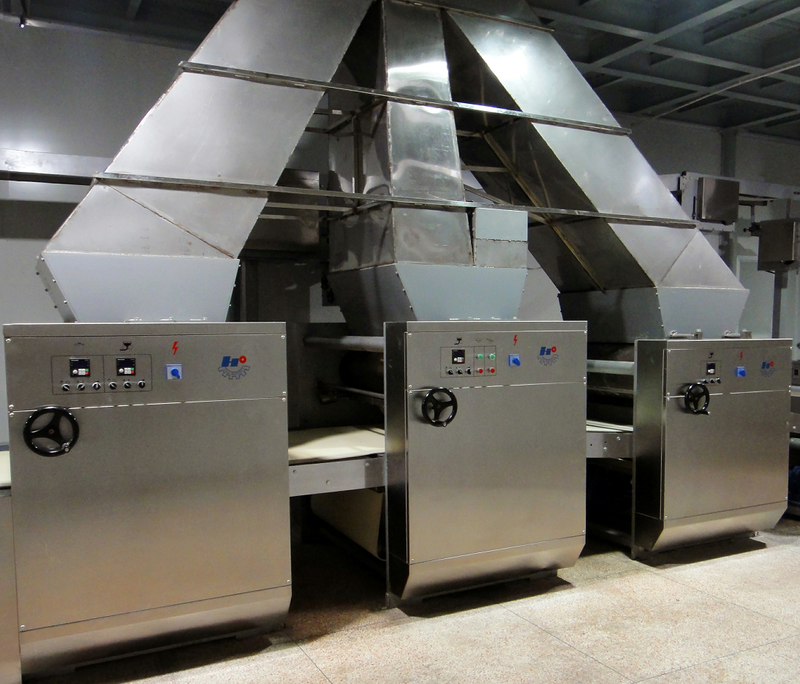 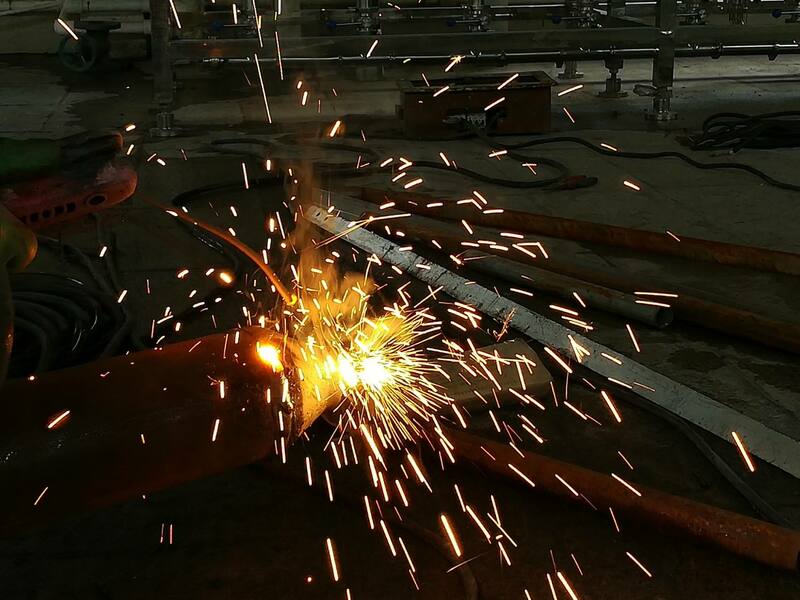 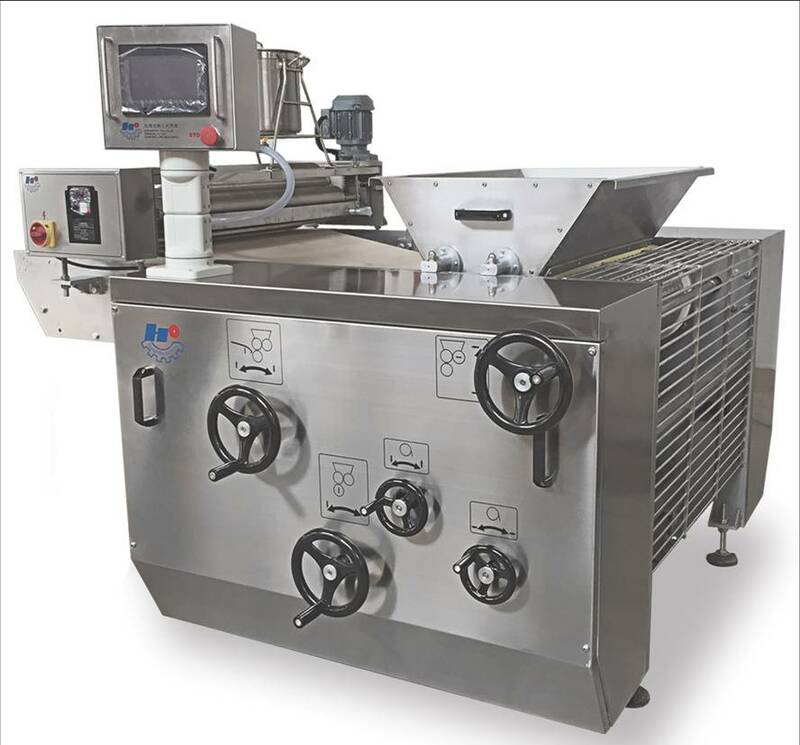 Pre-made dough sheet,laminating and sprinkle powder running way direct to the biscuit running way , so that it is advantageous for tough biscuit to improve quality and g-rade, which makes it a necessary device for producing fermented crack. 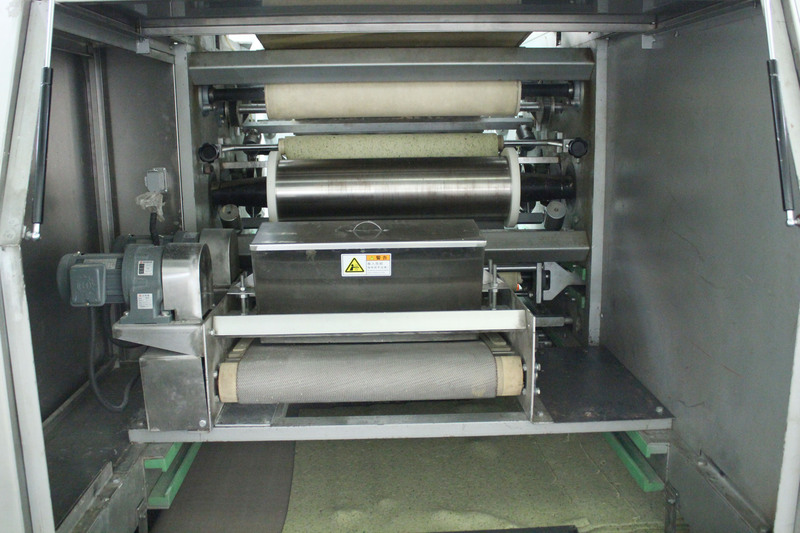 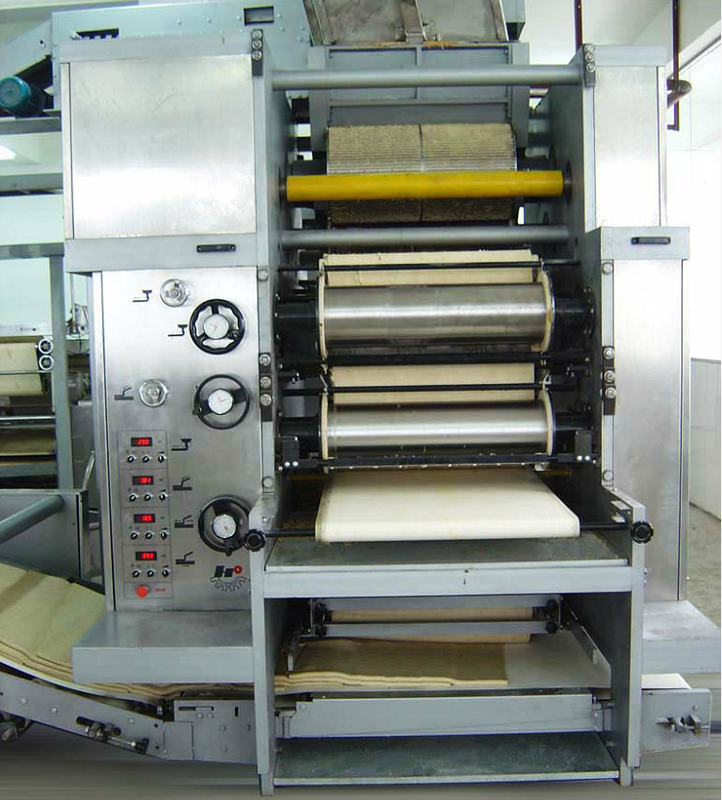 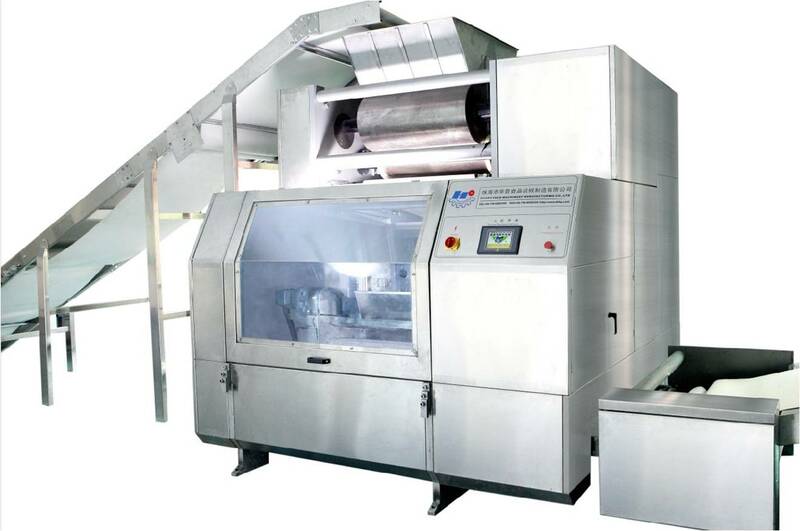 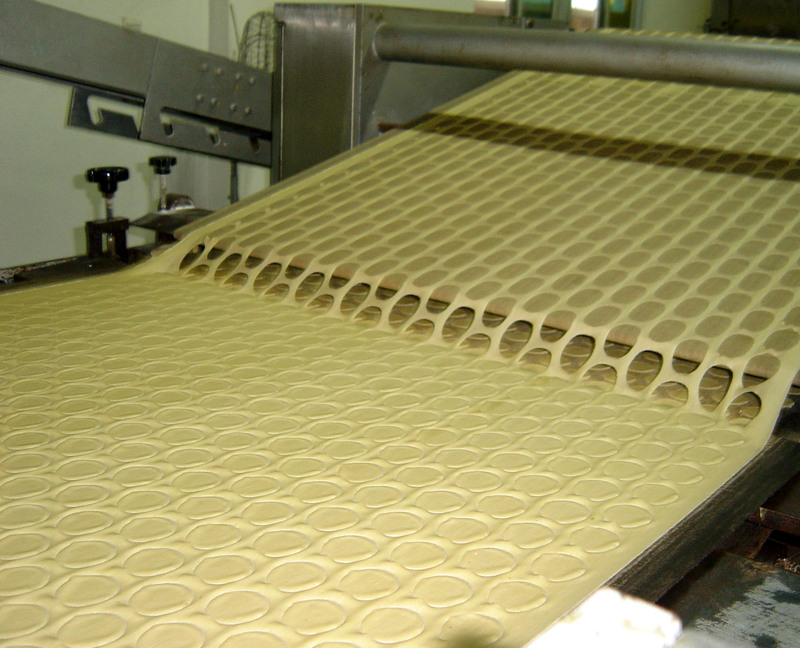 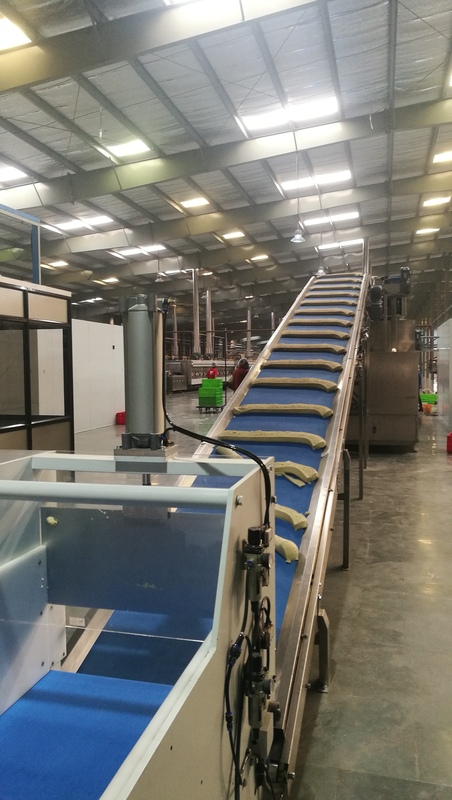 Combine with three set sheeter,each feeding and rolling respectively to form three layer three color flan,which is to be delivered to the best process,When not making three-color biscuit, the mono-machine is responsible for feeding material,which is directly delivered to rolling unit from the mi-ddle one. 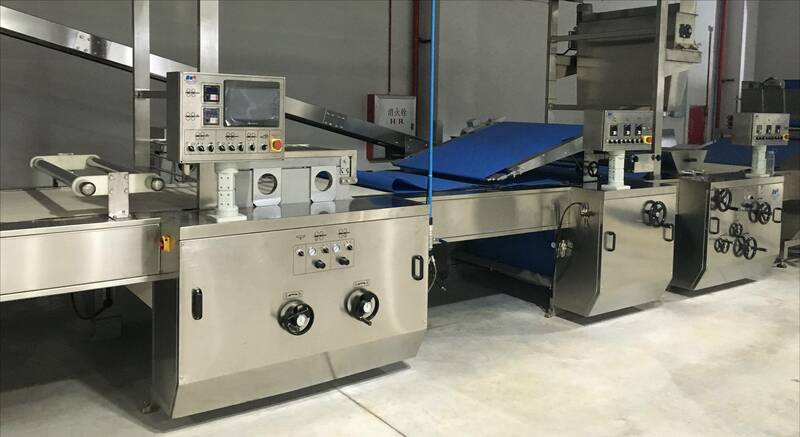 The pre-made dough flan sent from la-minator or three color dough sheet rolling machine is rolled through rolling unit again to dough sheet with thickness needed for flan. 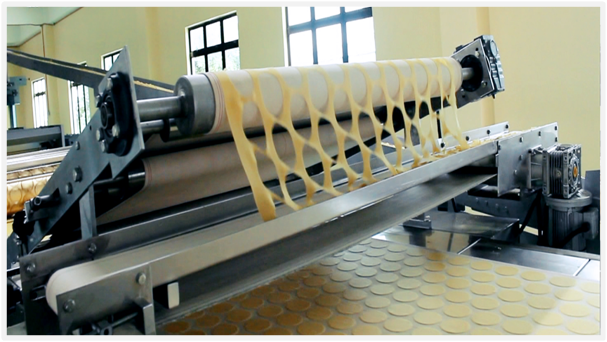 the rolling speed and conveying speed of each mono machine is controlled separately ,so that it can be conveniently and easily operated. 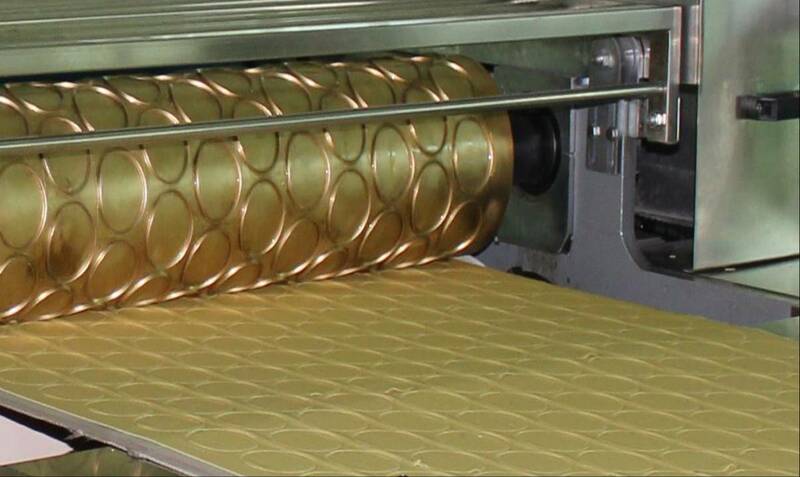 The rolling cutter comprising needle ,shape roller and cutting roller with the features of high speed and low noise can meet requirements for maximum production capacity.